With our revolutionary packable Men's Space Rain Full-Zip Jacket with 4MOST DRY-PLUS, you’ll never have to leave waterproof protection behind. Made of lightweight polyester interlock fabric for enhanced mobility and durability. 100% waterproof, breathable 4MOST DRY-PLUS laminate keeps you dry. This garment packs down to the size of a small water bottle, easily fitting in your fanny pack or cargo pocket. Comes with a handy stuff sack. Streamlined design minimizes overall bulk and weight. A drawcord hem, 4" of extended length and Velcro®-adjustable cuffs seal out moisture and wind. Three-piece hood surrounds your head in waterproof protection without impairing vision. Imported. 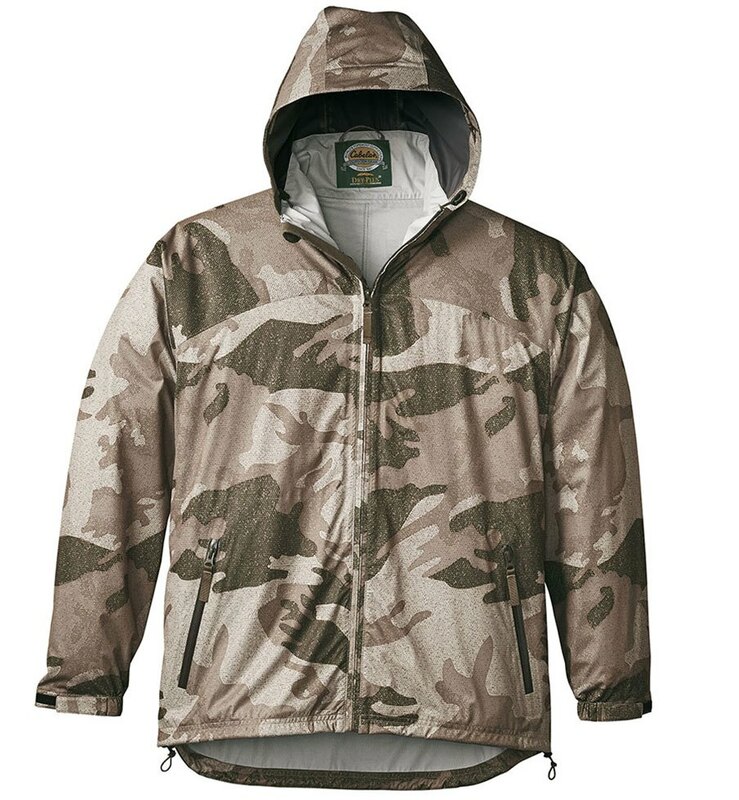 For more information, please visit //www.cabelas.com/product/cabela-s-men-s-space-rain-full-zip-jacket-with-4most-dry-plus-174-/.